Did you ever hear about the one where Jennifer Aniston hired a medium? Although it sounds like an episode of Friends, Aniston revealed that it wasn’t a TV storyline — in real life, she once had a ghost problem. 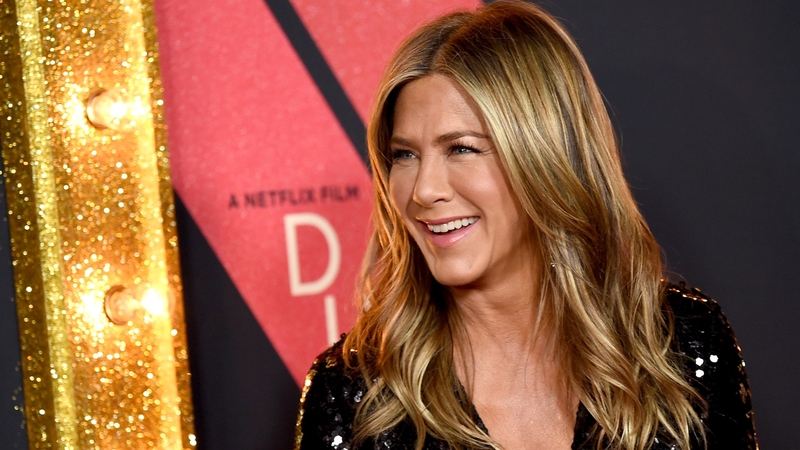 Appearing on The Late Late Show With James Corden alongside her Dumplin’ collaborator Dolly Parton, Aniston said that her first apartment in Los Angeles was haunted. “I had just moved from New York City to California, and someone said to me, ‘Oh, you have a spirit in your house. You should have someone [come by] and clear the house. And I was like, ‘Oh man. I’ve landed in Los Angeles.’ We’re talking about ghosts, spirits and a ghost whisperer?” she recounted. Although she originally thought the suggestion to have someone “clear” the house was silly, she ultimately did hire a medium to come visit the home. At first, things seemed to be going well. The medium put frankincense in an old ashtray and began vanquishing the spirit with words. But when the medium walked to a different corner of the room, the ashtray inexplicably cracked, Aniston said.